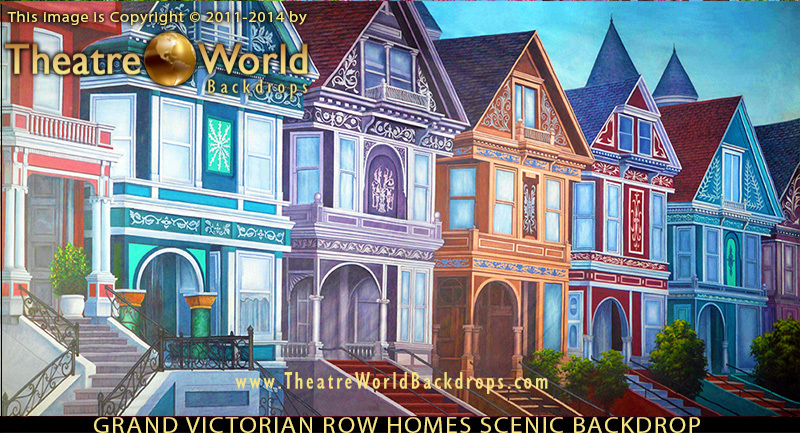 Over the past several months, our Creative Director, Designers, and Scenic Artists have spent countless hours creating backdrops that will help to define upcoming production seasons. We have looked over our inventory and surveyed the landscape to ensure that we can provide “sought after imagery” for the 2014 and 2015 theatrical, dance, and special event production cycles. 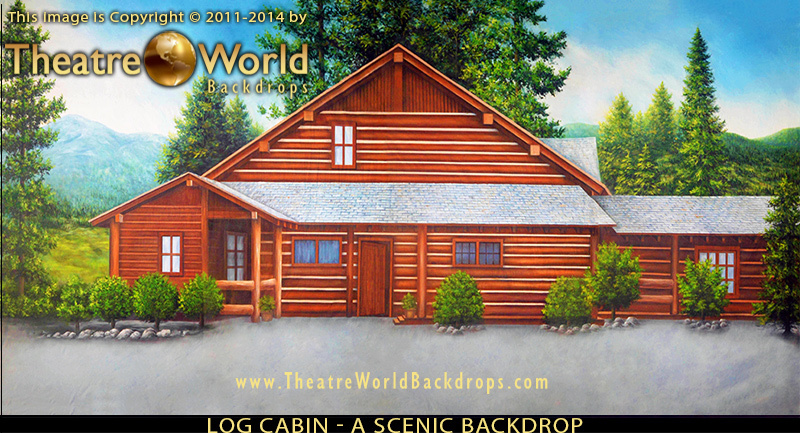 It made for an exciting summer here at TheatreWorld, and we are happy to share the fruits with you today. 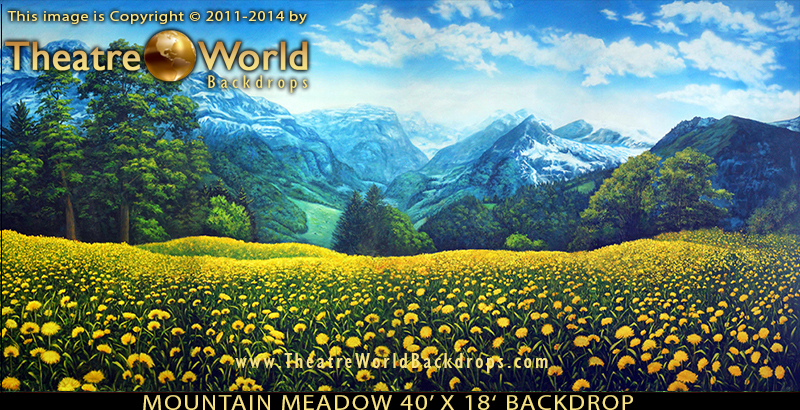 Our Team designed and painted enough new backdrops to update 25 popular theatrical show and dance themes. 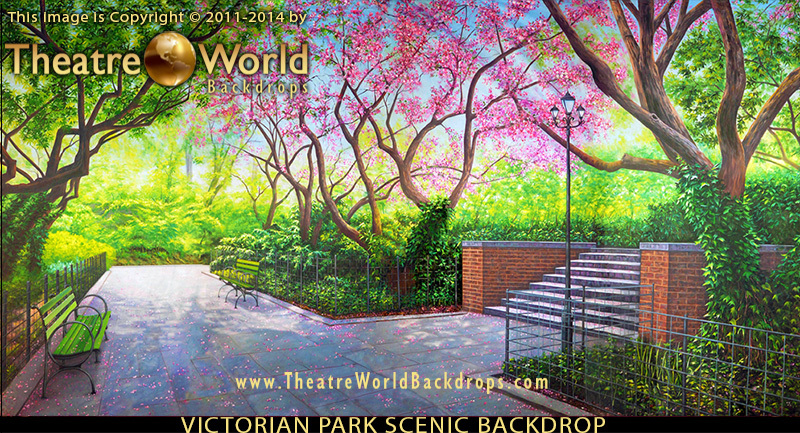 In some instances, we designed a single drop that would provide improved scenic options for existing collections. When it came to THE NUTCRACKER, MARY POPPINS, and THE ADDAMS FAMILY, our Creative Team designed entire show packages. A summer spent knee-deep in scripts, research, and sketches might not sound like fun to everyone, but it is what gets our Creatives up in the morning. A new production season is best welcomed with new imagery. With this in mind, our team set out to add to our available options for as many show themes and event categories as humanly possible. To beef up our offerings, our team developed a series of exteriors. These new backdrops can transform your stage into everything from flower-covered meadows to vintage Black and White Cornfields. We also spent a good amount of time researching the architecture of the Victorian and Baroque eras. 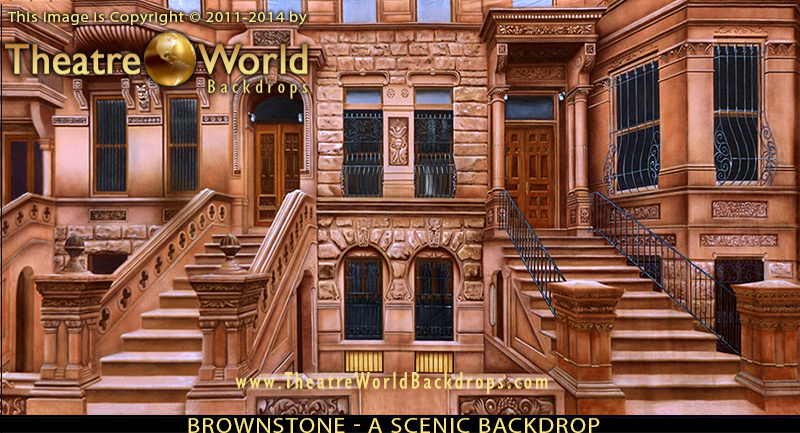 The building style of these time periods provided the basis for over a half a dozen new backdrops. Our Victorian and Baroque parlors, ballrooms, and exteriors will be available just in time for fall and holiday productions. All in all, we have designed, and will officially release, over forty new drops in the next six weeks. Many of these designs are already painted, dried, and awaiting the chance to support your productions. 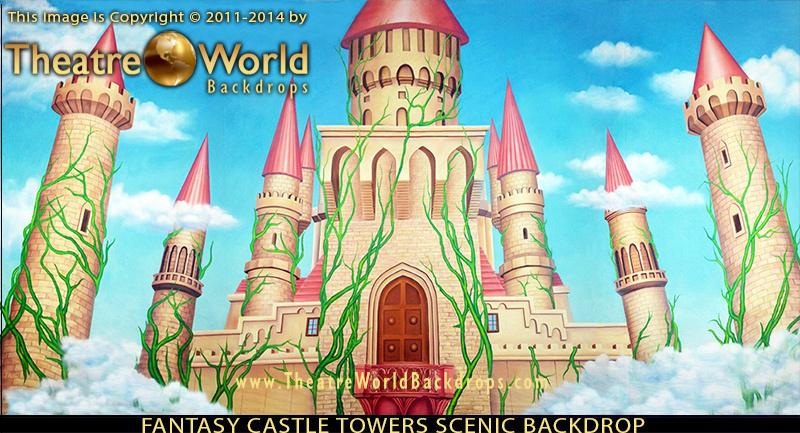 Take a moment to visit our Latest Backdrops page to get a glimpse of what our Artists have been up to. We will be adding new designs weekly, so feel free to check back soon for even more imagery updates. 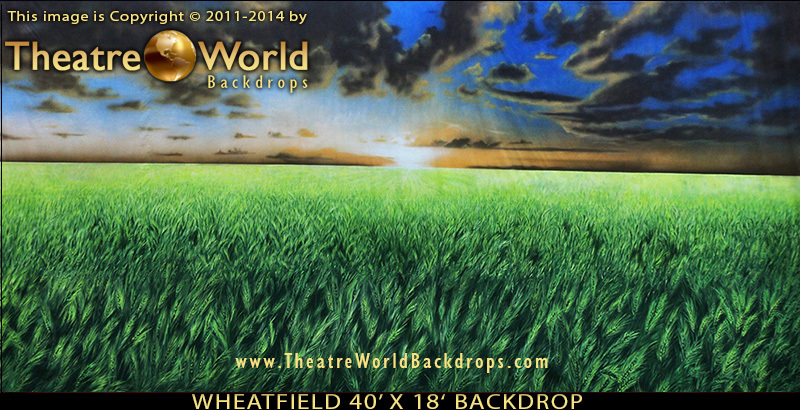 Even before summer began, we have been pushing to increase our number and selection of backdrops in differing sizes. Our 20’ x 10’ Cabaret Series drops and 25’ x 15’ Black Box Series received a significant increase, both in terms of amount of designs and number of overall drops. With more schools, community dance programs, and quaint event venues hosting productions in need of a higher level of artistry, we just had to answer the call. Theatrical and Dance groups with smaller staging areas and Planners that want to spice up a venue with lower ceilings now have access to a growing selection of backdrops with a myriad of designs. Everyone deserves to be able to support their productions and events with the same style and visuals that larger groups have access to – and now they can. We would like to wish everyone the best of luck in the upcoming seasons. If you already know what you have planned, it is never too early to reserve your drops to ensure availability. We are looking forward to partnering with you to support your scenic needs during these very busy seasons. We can’t wait to hear your ideas and to see the productions that you have planned for your community. 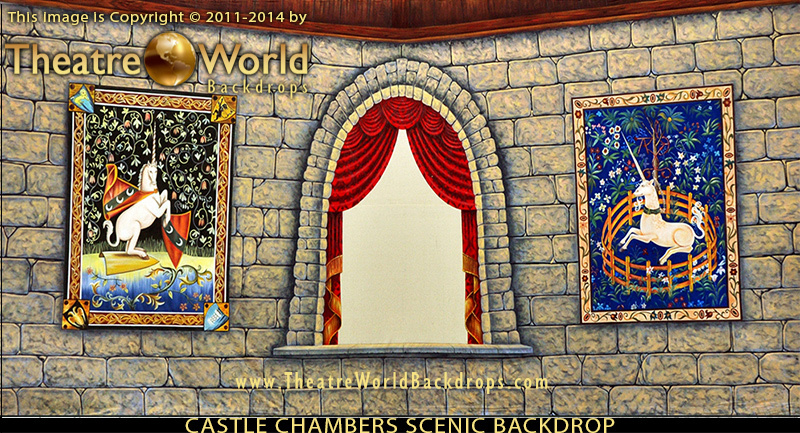 This entry was posted in Addams Family, Event Backdrops, Latest Backdrops, Mary Poppins Backdrops, New, News You Need, Nutcracker Backdrops, Signature Series Backdrops, Theatre Backdrops, Updates and tagged ADDAMS FAMILY scenery, black box series, cabaret series, dance backdrops, event backdrops, MARY POPPINS backdrops, musical theater, new backdrop rentals, new stage backdrops, professional backdrops, Scenic Backdrops, stage backdrops, TheatreWorld backdrops, Theatrical backdrops, theatrical rentals on September 3, 2014 by Skip Mathews.